At times people require just that little bit more power to finish the job. 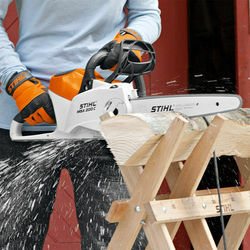 The new MSA 200 C-BQ battery chainsaw is the solution. 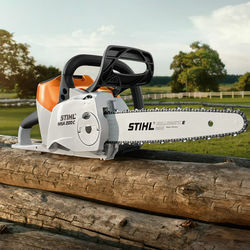 Having 30% more power than the MSA 160 C, cutting a fallen tree is now even easier. Standard features include quick chain tensioning (QCT), locking switch for extra safety, can be adapted to take 3/8 P chain and soft grip handle for more comfort. 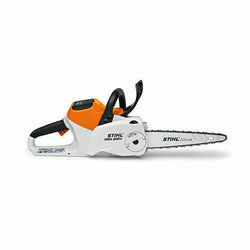 The low noise level makes it ideal for use in noise sensitive areas and is equally good at cutting firewood in the garden and landscape maintenance.